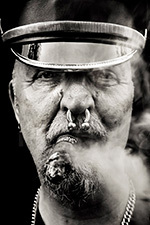 On Thursday 6th September from 7pm – Midnight I will be shooting portraits at the The Folsom Europe festival in Berlin, Germany. If you’d like to book a private photo session, there are both half hour (€69) and one hour (€99) sessions available for booking through the Male.Space web site. For more information and full details check out the special offer here. See you in the September smoke!